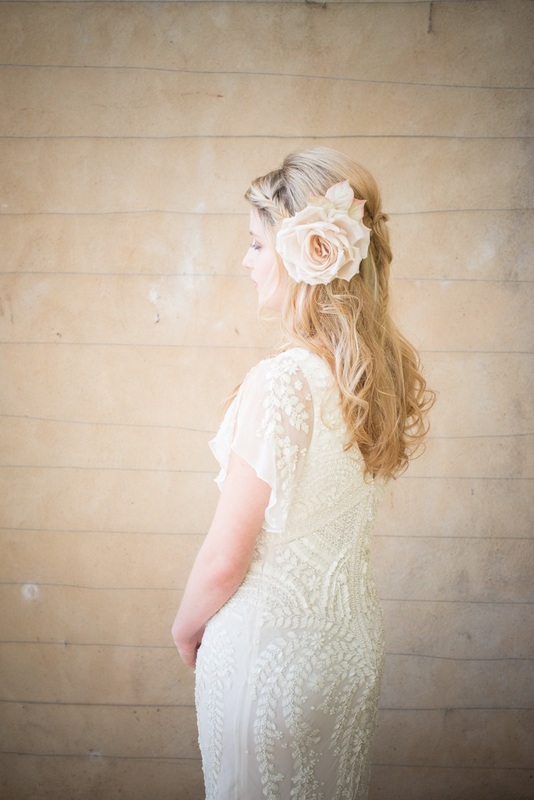 Named after a very special little girl, the Clementine Silk Hair flower is a show stopping piece for your bridal hair. 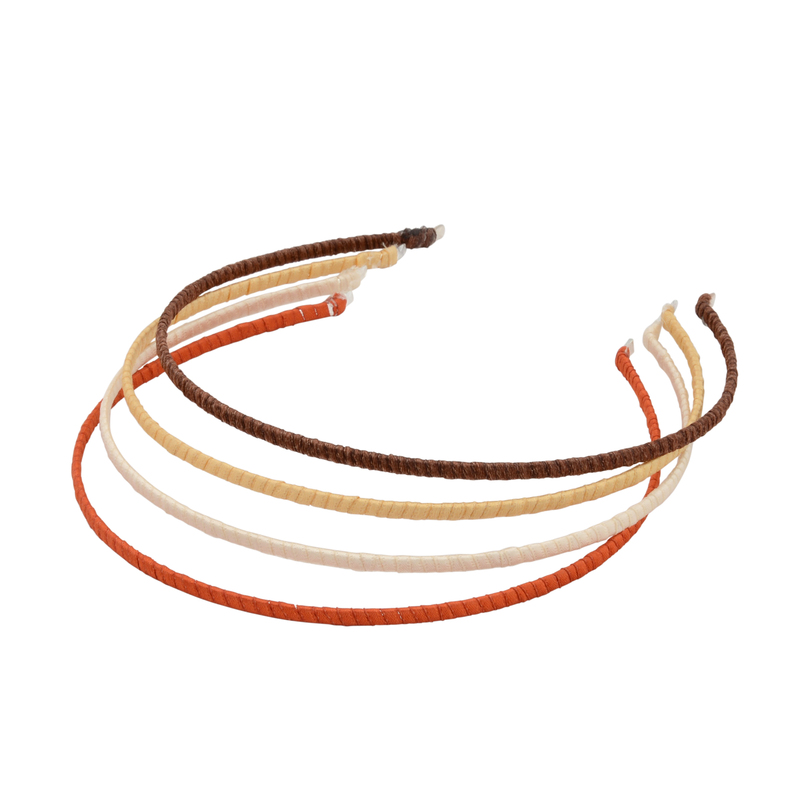 We adore the colour too. 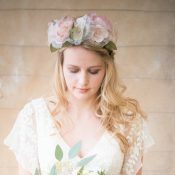 Also available in Ivory and mocha, the Pink colour of this version of the Clementine Silk Hair Flower is simply beautiful: muted, pretty, and ridiculously elegant, it will go with any colour scheme and make you feel every inch the bride. 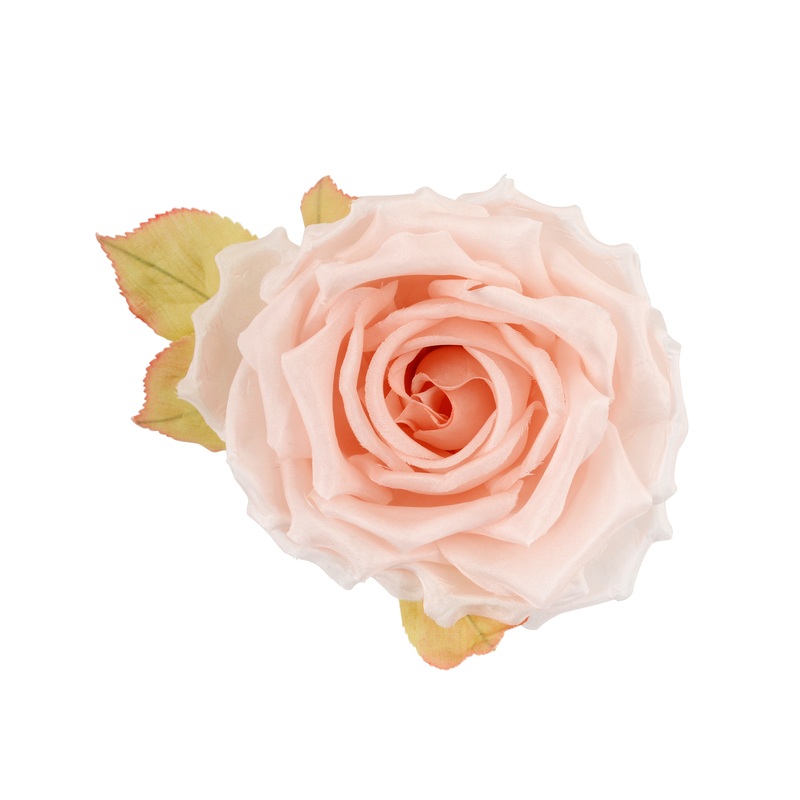 Our Clementine pink silk flower has been hand-crafted for Chez Bec out of the finest silk and includes beautiful muted leaf accents. 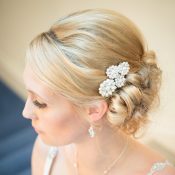 We hand finish the mounting of all our new silk flower collection, please choose from the drop down menu whether you would like it mounted on a ribbon wrapped band (ivory, brown, dark blonde, light blonde or auburn), on a 6cm comb, a crocodile clip, or a brooch fitting – perfect for attaching to sashes or wraps. Or just left as it is the stalk is ribbon wrapped, and it can just be placed into the hair and secured with hair grips. Be the first to review “Clementine Pink Silk Hair Flower” Click here to cancel reply.